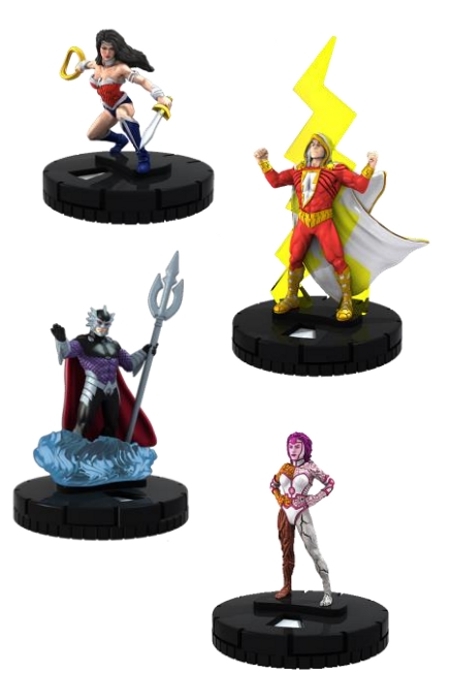 On January 14th, Wizkids‘ Heroclix sees a new set released with DC HeroClix: Justice League – Trinity War. The new set features three SKUs including a 24 count gravity feed, booster packs, and a fast force pack. The booster packs and fast force will be released on February 4 which also will be the launch of the organized play. The gravity feed retails for the usual $2.99 and has 10 figures with a flat rarity. Some characters that will be included are Aquaman, Firestorm, and Parademons. I’d also guess Lex Luthor and Mera based on the image released that you can see on the left. The booster packs will retail for $12.99. The set includes 73 figures. There will be “Seven Deadly Sins 3D Special Objects” which will interact with the Rock of Eternity and Pandora’s Bo brick incentive resource dials. There’ll be some sub-themes for the set including the Justlice League of America, Justice League Dark, Crime Syndicate and more. The set includes 17 common figures (plus one prime figure), 16 uncommon figures (plus on prime), 16 rare figures (plus one prime figure), 12 super rare figures (plus one prime), 7 thematic chase figures, and 1 ultra-chase figures. 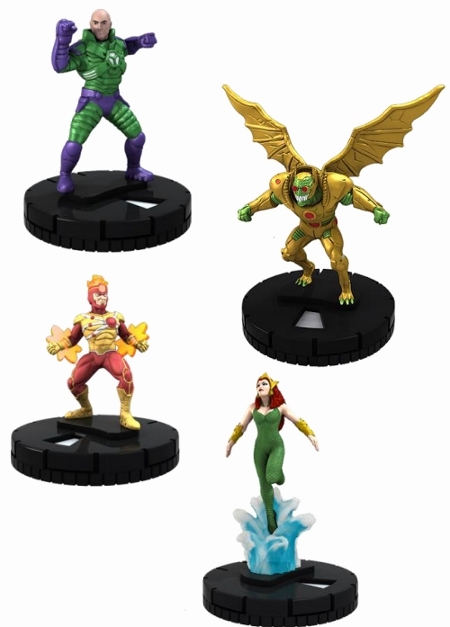 DC HeroClix: Justice League–Trinity War “Crime Syndicate” Fast Forces Pack will include the 6 super villain counterparts to the Justice League of America. The pack will also include two exclusive maps. It’ll retail for around $16.99. 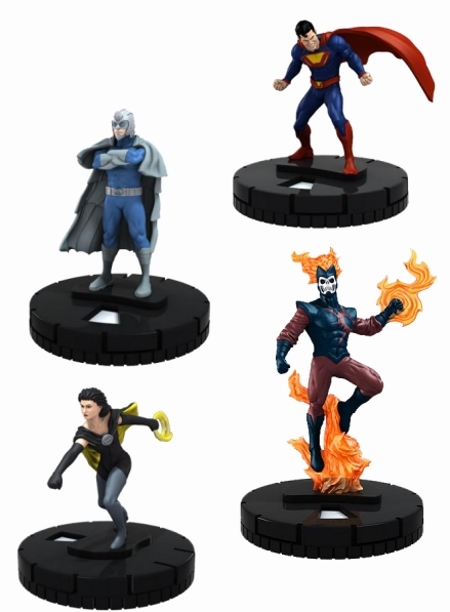 The Release Day Organized Play Kit will include 3 limited edition HeroClix figures (three copies of one figure), five 2-sides maps, and an instruction sheet. Stores are limited in the number of OP Kits they may order from their distributor based on cumulative cases of product ordered, with no more than 3 OP Kits per retail store.